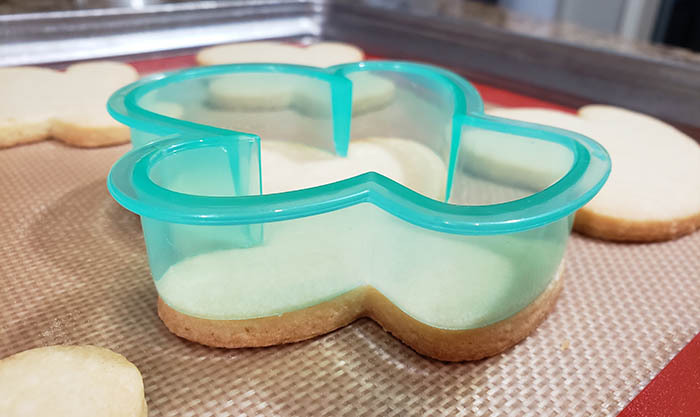 When I first started decorating cookies I realized that decorating a cookie is much like building a house, you need to start with a solid foundation. If you have a cookie that spreads into a pinterest-fail-blob, even with the most amazing decorating skills, you’re still going to end up with a cookie that looks like a pinterest-fail-blob. I tested out dozens of shortbread recipes, and modified them until I came up with the perfect, no-fail recipe that gives me delicious, perfect cookies, every single time. I’ve baked thousands of cookies with this recipe and I’ve been told time and time again that my cookies don’t just look good, but they also taste amazing! Butter, sugar, flour, eggs and some flavoring is all you need! I use no leavening agents (baking powder or baking soda) in this recipe because you don’t want your cookies to rise or spread. I do use both powdered and granulated sugar in this recipe. I tried recipes with just granulated sugar, and just powdered sugar, and it wasn’t until I started using both that I ended up with a perfect dough that bakes consistent every time. I don’t know why, I was a biology major who was terrible at chemistry. I’m sure there’s a scientific answer to why it works, but I couldn’t tell you what it is. I’ve had students ask me what brand of everything I use. For the butter…just butter. Unsalted. Nothing fancy. 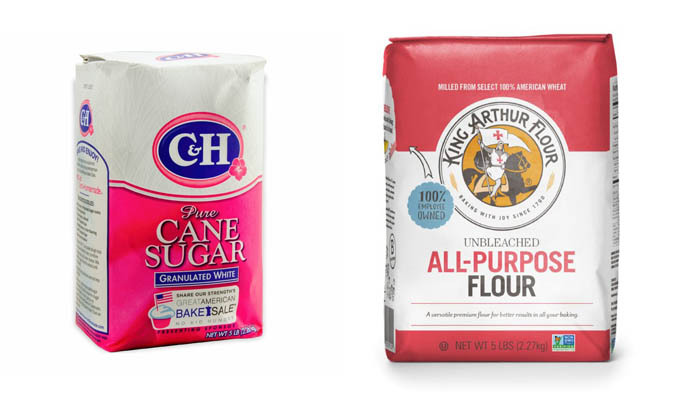 But I only use C&H sugar and King Arthur flour in my kitchen. All of my recipes were developed using C&H sugar. It’s the only sugar on the market that still uses 100% cane sugar. I’ve noticed that if I’ve ever used any other brand of sugar other than C&H, my recipe will always turn out slightly…different. So, it’s only sugar in the bright pink package for this girl. And King Arthur is just a good, employee-owned company that puts out some great products. They also do all kinds of do-gooder type things in their community, so I like to support them and you should too. 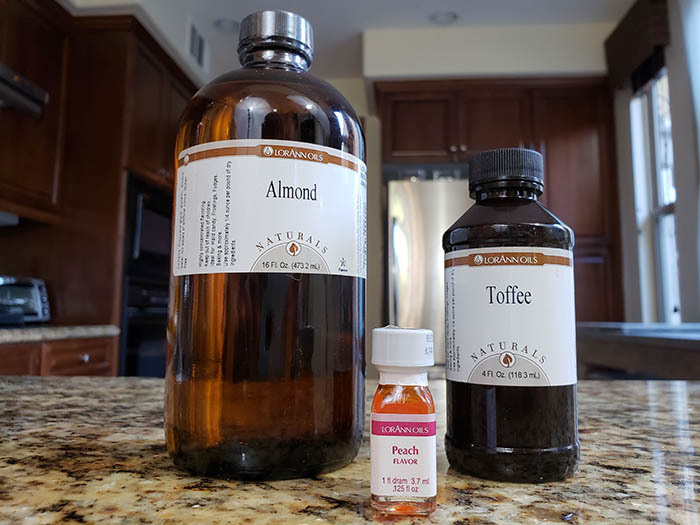 As far as vanilla extract or other flavorings, just NEVER use the imitation stuff. If you want a good, high-quality, Ina Garten approved vanilla extract, you can’t go wrong with Neilson-Massey vanilla. Otherwise, McCormick will work just fine. I use a combination of vanilla and lemon for my cookies, but if you don’t like lemon, you can use just vanilla or another classic flavor like almond. 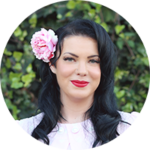 If you want to get really creative and have fun, try some Loranne oils. They have pretty much every flavor you could imagine…buttered popcorn, bourbon, maple, eggnog, toffee, coffee, cinnamon roll…you could really go crazy. You can buy them directly online from their website or you can also find them on Amazon or in-store at Michael’s. And they come on sizes from .125 oz to big ol’ 16 oz bottles. You can also add food colouring to your dough, throw in some sprinkles, or replace 1 cup of flour with 1 cup of high-quality cocoa powder to make chocolate cookie dough. Other than all that, just always make sure all of your ingredients are at room temperature or they won’t incorporate. If you’re in a rush you can microwave your cold butter on the DEFROST setting for 15-20 seconds at a time until it’s room temp. Don’t nuke it too long since I’m sure you want to avoid melting it and making a big mess in your microwave. And you can also stick your eggs in some lukewarm water to bring them to room temp as well. Just don’t use hot water, or you’ll end up with soft-boiled eggs. Cream butter and sugars for 5 minutes on low speed with paddle attachment until fluffy and pale in colour. Add eggs, one at a time, and then extract. Mix until thoroughly combined. 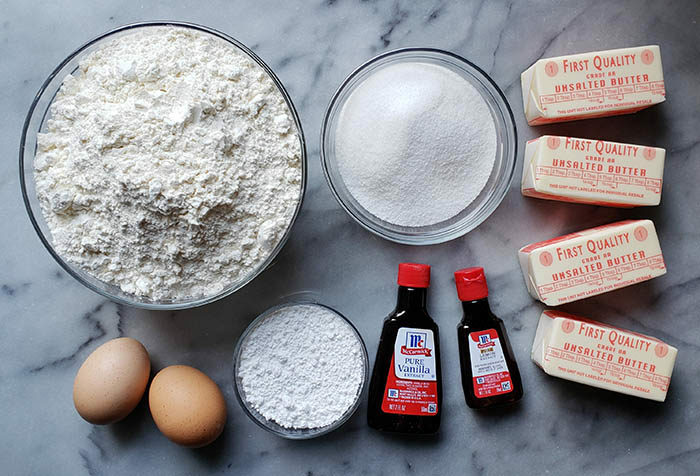 Add flour and cornstarch mixture, all at once, and mix just until combined. Do not over mix. Turn out dough onto cling wrap, wrap tightly, and refrigerate overnight (or at least 4 hours). Knead, roll, cut, and return to fridge or freezer until firm. Bake at 350° for ~15 minutes, turn pan, and bake for another 1-5 minutes until edges are starting to turn a golden brown. Adding 1-2 tablespoons of cornstarch to your dough will prevent your cookies from shrinking or spreading during baking. To make chocolate cookie dough, replace 1 cup of four with 1 cup of high-quality cocoa powder. I’ve made a little video of me making the cookie dough. Yes, it’s 3 minutes of watching a mixer mix cookie dough, but if you have any questions about how long everything should mix, and what it should look like, the video will show you everything. Also, does anyone else remember the C&H commercials from the 80s? Almost every time I use sugar I start singing the jingle, which isn’t annoying to everyone around me AT ALL!!! These came out perfectly, thanks! I’m going to make this tonight. Looks like a great recipe! I found your cookie recipe!